AMH is honored to serve as the Coalition for the Homeless’s silent art consultant and on the Art Advisory Board for the 19th annual ARTWALK benefit. ARTWALK NY 2013 is the Coalition’s premier art auction, bringing together artists and art lovers to help our most vulnerable neighbors as we celebrate the accomplishments of our most talented artists. 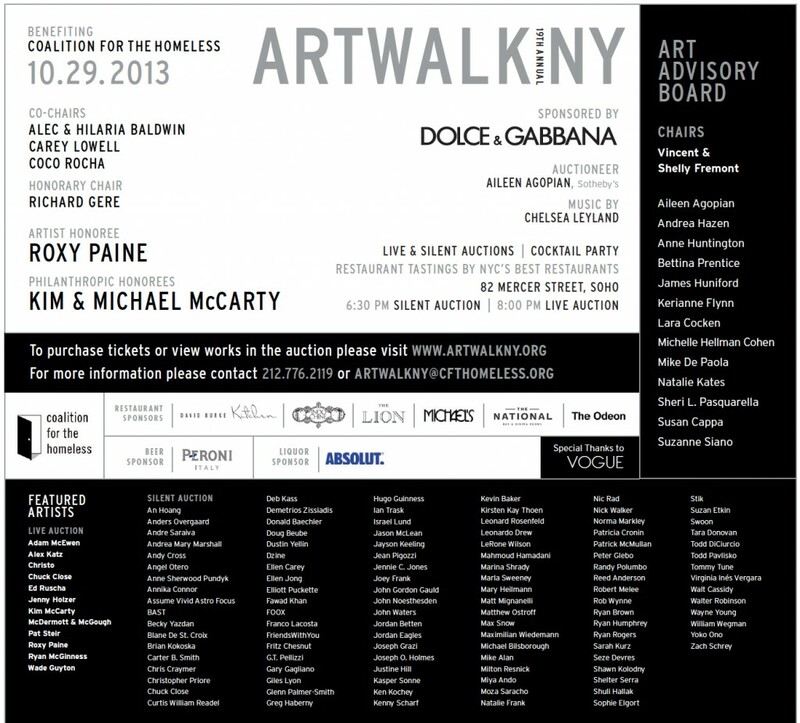 The 2013 ARTWALK NY is the most successful to date, raising over $1 million to benefit the Coalitions programs.